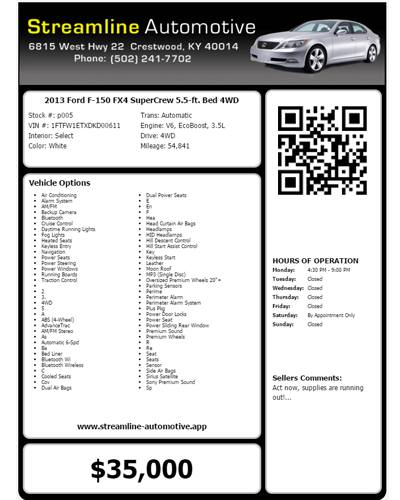 Our system enables you to easily display a QR Code on your Vehicle’s Window Sticker. 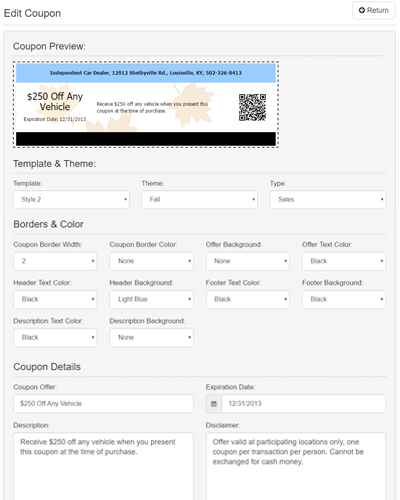 The QR Code links shoppers directly to the Vehicle Detail Page on your website. This hi-tech feature converts after hours lot walkers and window shoppers into solid leads for your dealership when your Dealership is closed.